Any guesses what lives down there? I didn't reach in to find out. Rather, I tried to step around it gingerly to keep it intact. I'm just a visitor. 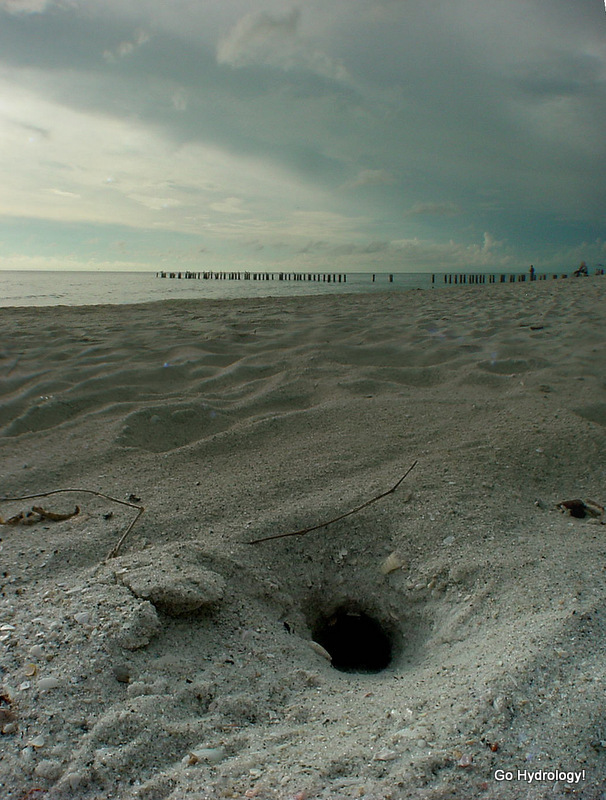 Whatever lives down there makes the beach its home. Hint: Not a stone crab. A sea turtle? If it is, wouldn't there be people who block it off so people don't disturb it?